Direct Insure or Insurance Direct? If you are any one of the 500,000 car insurance shoppers who have found us in your local Telephone Directory throughout the United States; you know there’s only one InsureDirect. The agents of InsureDirect have sold car insurance to both preferred drivers and those with accidents, Tickets and Violations since 1992. Starting in 1998, car insurance shoppers who wanted to visit us online could log-on to www.insuredirect.com or do a Google Search for; Direct Insure, Direct Insurance, Insurance Direct or Insure Direct, Insure-Direct, or one word InsureDirect. Unfortunately, since we joined the car insurance marketplace on the world-wide web, there have emerged more than a dozen domains that are doing a really bad job of trying to look and sound like InsureDirect.com. Well, nothing succeeds like success, and they do say that imitation is the sincerest form of flattery. When you have been referred to InsureDirect by one of our 3000 Auto Dealership partners nationwide or enter www.insuredirect.com in your internet address bar – you will easily find us. Sadly, many others car insurance shoppers get lost when entering our address in the Google Search Bar. Although we typically come up as the #1 organic search in Google, the other websites on that page which are using a similar looking domain address, or have purchased our Domain Name as a Google Ad-word keyword phrase are counting on confusing you in order to divert your desired InsureDirect.com search to their web-site. 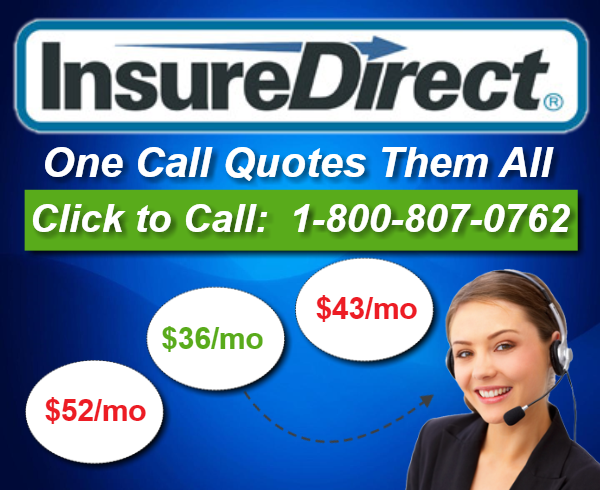 InsureDirect.com is the only car insurance agency in the United States which maintains the required permissions from numerous States Department of Insurance to use the name “Insure Direct” in conjunction with the sale of car insurance. Since many of these “look alike” domains are not licensed to sell car insurance, they are not aware of the state registration requirements of using the words insurance, insure or assurance. InsureDirect.com is also the only domain which holds two U.S. Federal and State Trademarks for terms “InsureDirect”, InsureDirect.com, Insure-Direct and Insure-Direct.com. So, when you come to us, you can be assured you’re dealing with a real auto insurance agency, and not some fly-by-night lead aggregator who just wants your information so they can sell it, and resell it to the highest bidder.